The Cherokee Nation will begin accepting clothing voucher applications at different locations through the month of July. The tribe’s clothing voucher program helps Cherokee families purchase new clothes for school-aged children for the upcoming school year. 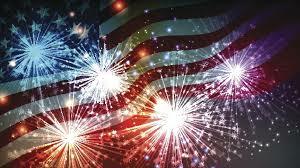 The City of Sallisaw reminds everyone celebrating July 4th that the personal use of fireworks is allowed in the city limits from 10 a.m. until midnight on July 3 and 4 only. The city and the Sallisaw Chamber of Commerce and the Grand River Dam Authority invite everyone to the 4th of July Celebration on July 4 at the Sallisaw High School Complex. Activities start at 6:30 p.m. with fireworks at dark. Come out and enjoy food and fun for the entire family. If you see one of the many sponsors of the July 4 celebration, be sure to thank them for their support. 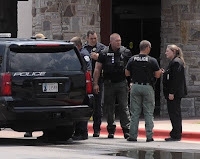 Just minutes ago, at approximately 2:30 p.m., Sallisaw police, the Oklahoma Highway Patrol and Sequoyah County Sheriff’s deputies descended upon the Cherokee Casino in Sallisaw and apprehended a shooting suspect from Okmulgee. Okmulgee police, earlier in the day, issued a be-on-the-lookout (BOLO) for a shooting suspect from Okmulgee driving a Chrysler Sebring. Sallisaw police spotted the vehicle at the casino and called for assistance. 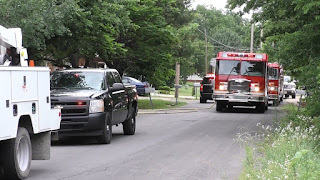 After a careful assessment of the situation, officers called for a barricade of the back door while the premises were monitored by several law enforcement officials. 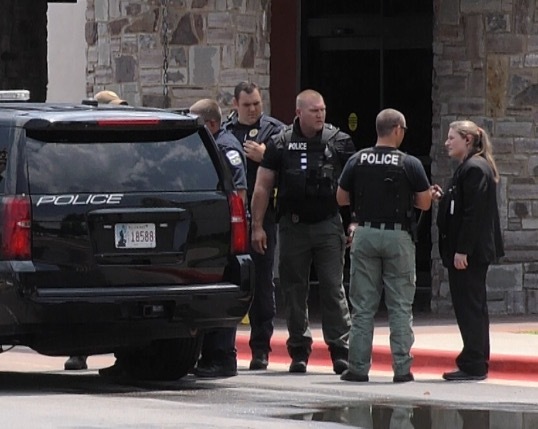 Sallisaw police first sent in an officer in plain clothes, then several officers entered the casino and apprehended the suspect at about 2:30 p.m. without incident. Okmulgee police were then notified of the apprehension. Okmulgee Police Chief Joe Prentice was unavailable for comment on the case, but previous reports indicate two men, one of whom is a witness in a murder case, were shot in Okmulgee at about 1 a.m. Tuesday. 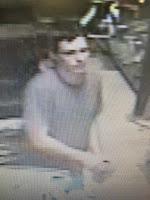 It is not known if the suspect was being sought for the Tuesday shooting. We were live on the scene as the situation unfolded and the suspect was apprehended. Tune in tonight to MixTV on DiamondNet Channel 19 and 819 for footage of the arrest. A man and woman from Arizona face drug-related charges in Sequoyah County District Court in Sallisaw after a traffic stop on Interstate 40 on June 15 when a deputy confiscated a bundle of marijuana that weighed over 25 pounds. Alejandro Espinosa, 26, of Chandler, Ariz., was charged June 20 with trafficking in illegal drugs, possession of a controlled dangerous substance and possession of a firearm during commission of a felony. Espinosa pleaded not guilty to the charges on June 22, and was released on a $25,000 bond on June 21. Rosario Mayte Vega, 29, of Phoenix, Ariz., was charged June 20 with trafficking in illegal drugs and possession of a firearm during commission of a felony. Vega also pleaded not guilty to the charges and her bond was also set at $25,000, but court records indicate she is still in the Sequoyah County Detention Center. Both cases are on Associate District Judge Kyle Waters felony disposition docket on Aug. 30. According to the information filed with the charges, the two suspects were traveling on June 15 on Interstate 40 at 78 miles per hour when stopped by a sheriff’s deputy near the 300 mile marker. Espinosa was driving and Vega was a passenger in the car. Espinosa told the deputy they were driving to Georgia to visit friends and relatives, but when asked, he said he did not know the name of his passenger, Vega. The deputy’s K9 then was sent around the vehicle and alerted near the driver’s door. The deputy asked Vega if there was anything in the vehicle and she pointed to a green leafy substance. During a search of the vehicle the deputy found a pistol, loaded with 15 rounds, in the center console and a large bundle of what appeared to be marijuana in the car’s trunk. The bundle weighed in excess of 25 pounds, he reported. Build a Better World is the theme of the children’s summer reading program at Stanley Tubbs Memorial Library in Sallisaw, and there is still time to participate. The winners of the gift cards will be announced July 17. 1. Sign up at the library. The effervescent MaryLynn Lufkin, director of Catholic Charities Helping Center in Sallisaw, speaks to the group at the Building Blessing of the organization’s new storage building. In January, word went out that Catholic Charities Helping Center in Sallisaw needed help. The center, which helps those in need with foods, clothing and other necessities, was out of room. By the end of March, enough money was raised to build a 40-foot by 40-foot storage building, at an estimated cost of $20,000. Building materials and labor were donated or given at a reduced cost, and sufficient donations were received to not only build the storage building, but to add electricity, lighting, a concrete pad and sidewalk. 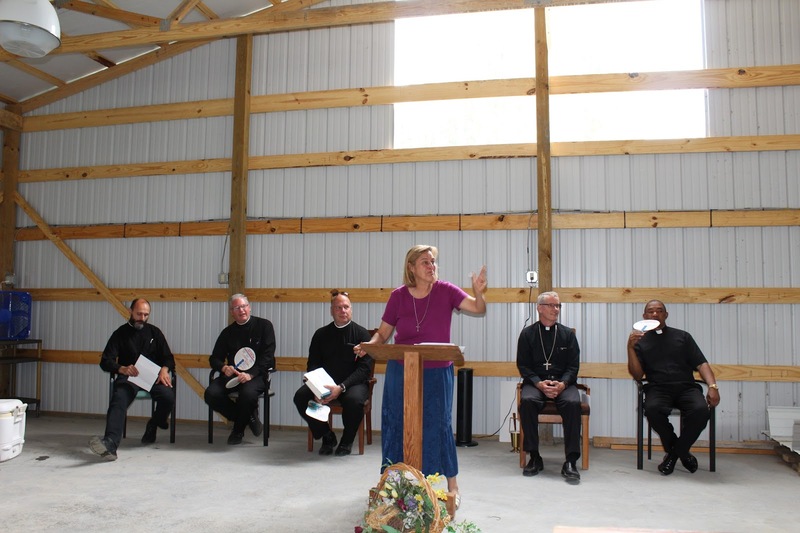 At a blessing ceremony Thursday for the new storage building, it was announced that a new $6,000 donation will be used to purchase walk-in refrigerators for the building. An ecstatic MaryLynn Lufkin, center director, thanked all those present. She noted that the entire community, the churches and individuals, helped with the project. She noted the project was non-denominational. “It was amazing how it took off,” Lufkin said. “I have thanked all the churches and individuals who donated. “We are all the bodies of Christ,” Lufkin said. The Bishop of the Diocese of Tulsa David Konderla conducted the blessing ceremony. Assisting were Deacon Erick Bell, Catholic Charities of the Diocese of Tulsa Emergency Services director; the Rev. Deacon Kevin Sartorius, Catholic Charities Tulsa executive director; Deacon David Hamel, Catholic Charities Tulsa program director; and Father Desmond Okpogba, pastor of St. Francis Xavier Catholic Church in Sallisaw. 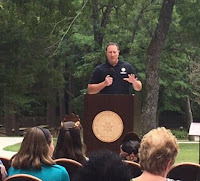 Bryan Warner of Sallisaw, Cherokee Nation Council Member for District 6, speaks at the re-opening of the Sequoyah’s Cabin Historic Site, now owned and operated by the Cherokee Nation. 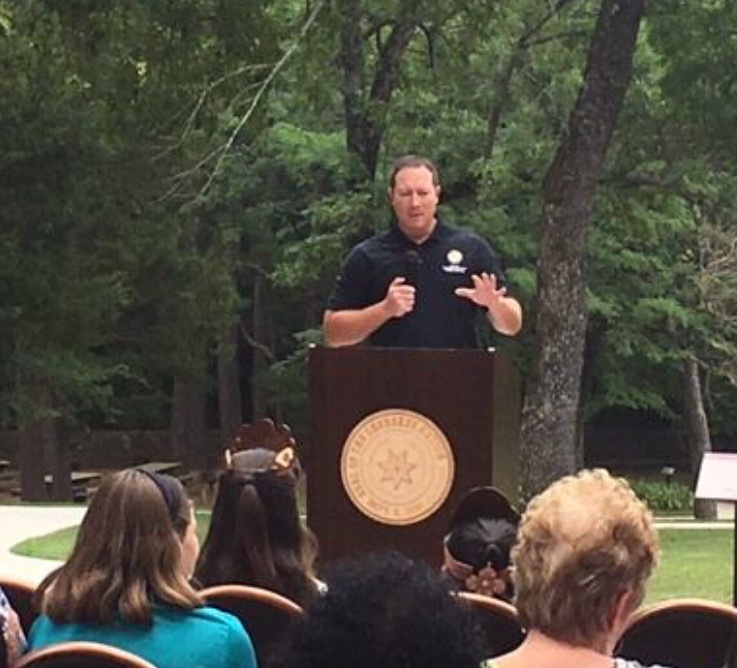 Cherokee Nation opened Sequoyah’s Cabin Museum Thursday after acquiring the historic property from the Oklahoma Historical Society late last year. The popular tourist attraction was the home of legendary statesman and inventor of the Cherokee syllabary, Sequoyah. Prior to reopening the site under Cherokee Nation management, the popular tourist attraction received much-needed repairs and renovations. The museum now features large displays that share the story of Sequoyah, his development of the Cherokee syllabary and Cherokee language. Additional displays showcase the history of the Cherokee Old Settlers, Cherokee Nation post-removal and the Cherokee Nation today. The museum also features a new retail space offering Cherokee Nation apparel, gifts and souvenirs. The cabin was constructed by Sequoyah in 1829 and welcomes more than 12,000 visitors each year. 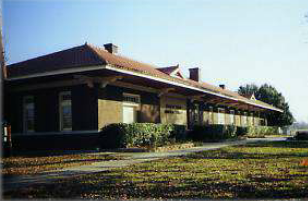 It was designated as a National Historic Landmark in 1966 and a National Literary Landmark in 2006. The homestead includes a one-room cabin and nearly 200 acres. Cherokee Nation took ownership from the Oklahoma Historical Society in November when the state of Oklahoma was no longer able to operate and maintain the site due to budget cuts. Sequoyah’s Cabin Museum is open from 10 a.m. until 4 p.m. Tuesday through Saturday. The museum is included in the tribe’s tourism program, Cherokee Passport. The self-guided tour program costs $15 and includes admission to five museums, including the Cherokee Heritage Center, Cherokee National Prison Museum, Cherokee National Supreme Court Museum, John Ross Museum and now Sequoyah’s Cabin Museum. It also provides a list of 107 attractions, historic sites, events and cultural treasures throughout the Cherokee Nation. 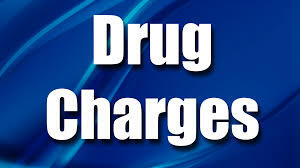 A Gans man was sentenced in U.S. Federal Court in Muskogee recently on a drug charge. James Wesley Jacobs, 38, was sentenced to 87 months imprisonment, and three years of supervised release for possession with intent to distribute methamphetamine, and for being a felon in possession of a firearm. The sentences are to run concurrently. The Indictment alleged that on or about Aug. 30, Jacobs possessed with intent to distribute 50 grams or more of methamphetamine, a Schedule II controlled substance. The Indictment further alleged that on or about Aug. 30, the defendant, having been convicted of a crime punishable by imprisonment for a term exceeding one year, possessed firearms which had been shipped and transported in interstate and foreign commerce. The charges arose from an investigation by the District 27 Drug Task Force, and the Drug Enforcement Administration. District Judge Ronald A. White presided over the hearing. 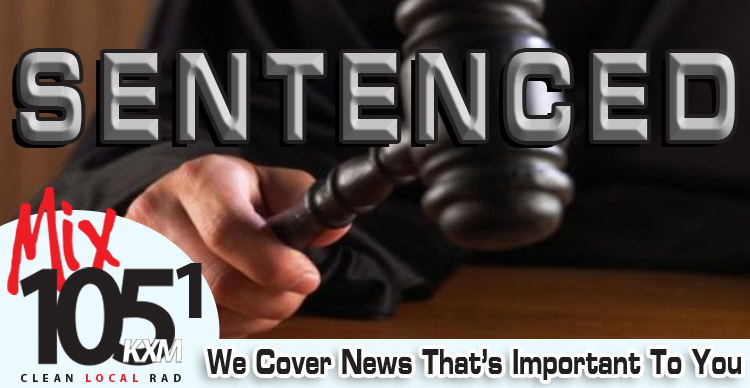 The defendant will remain in custody pending transportation to the designated federal facility at which the nonparoleable sentence will be served. Deborah Powers Cates, owner of Aromas Coffee Shop, receives the plaque for being the Sallisaw Chamber of Commerce Chamber Member of the Month. 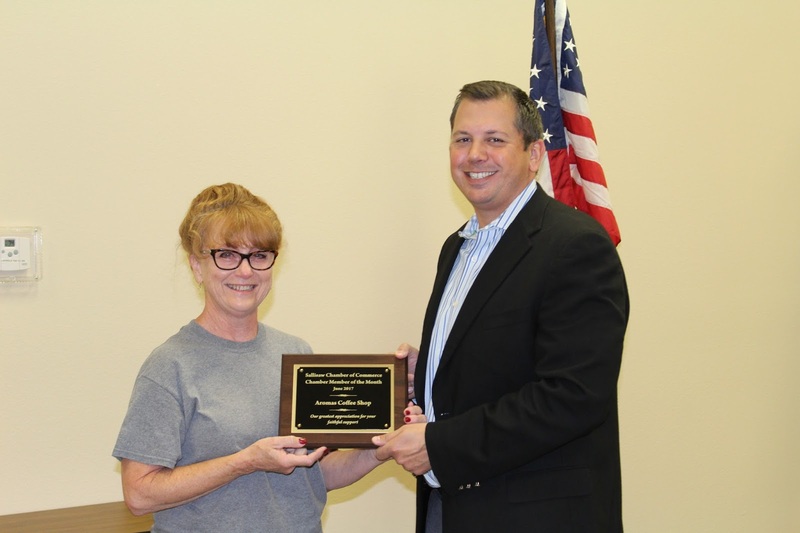 Jeff Mayo, incoming chamber president, presented the plaque and presided over the chamber’s legislative luncheon Wednesday. The lunch was held at People Inc. in Sallisaw. 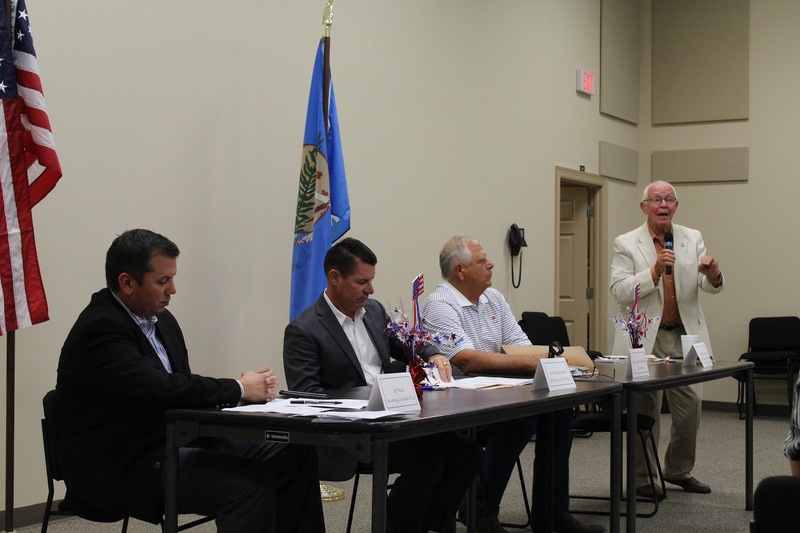 Sequoyah County’s state legislators spoke to members of the Sallisaw Chamber of Commerce at the annual Legislative Luncheon Wednesday. At the speakers’ table are, from the left, Jeff Mayo, incoming chamber president who presided; State Rep. John Bennett, District 2; State Senator Mark Allen, District 4; and State Rep. Ed Cannaday, District 15. Sequoyah County legislators talked about the state legislative session and the state’s budget at the annual Sallisaw Chamber of Commerce Legislative Luncheon Wednesday at People Inc. in Sallisaw. Chamber members heard from State Rep. John Bennett (R-Sallisaw); State Senator Mark Allen (R-Spiro); and State Rep. Ed Cannaday (D-Porum). Allen told the chamber members why he did not vote for a proposed $1.50 fee per package of cigarettes, which was approved to raise money for state coffers. Allen said other legislators do not take the state’s border counties into consideration, and residents in border counties will travel and take their money outside the state, such as to Fort Smith, to buy cheaper cigarettes. And while doing so they will spend more money on other merchandise and services, such as eating at Fort Smith restaurants. On a positive note, Bennett noted that money was found for the Oklahoma Highway Patrol (OHP), which will allow the OHP to hold a new recruit academy and lifted the 100-mile restriction for troopers, enacted earlier due to lack of funding. He noted he was able to get a bill killed to sell the Grand River Dam Authority (GRDA), which sells power to Sallisaw, and, in exchange, the GRDA is providing for better communication for rural law enforcement. Cannaday noted that he is term limited, and next year will be his12th and last year in the State House. He complained that the state budget was not vetted by the committees that are supposed to work on the budget for various agencies. Cannaday serves on the Education Appropriations Committee and complained that his committee did not get to see the education budget. Cannaday said low teacher pay is responsible for the teacher shortage. 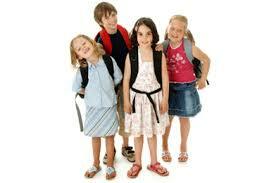 He added that local school boards do not have enough money coming in to give teachers pay raises. Bennett explained that tax increases have to be approved by a three-quarters vote of both the State House and Senate, which won’t happen. The three legislators said there isn’t much they can do about Social Security, since it is a federal program. Bennett said he supported a bill that allows residents to go outside the state to buy health insurance. He said the Affordable Care Act has resulted in only one health insurance company in the state. Allowing buyers to go outside the state to buy insurance could make it more affordable. Bennett said legislators will continue to work on balancing the state budget, and have identified a lot of waste they hope to curtail. Reducing tax credit for wind power and legislation changing the incentive rate from 1 to 4 percent for production from horizontally-drilled wells should being additional income to the state in the future, he said. 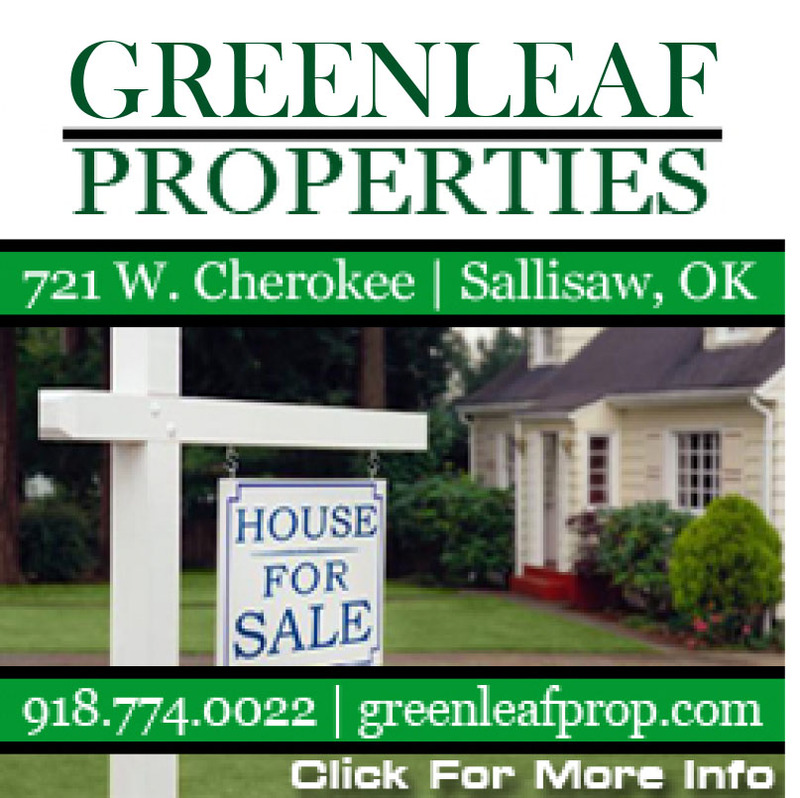 The Cherokee Nation is planning a grand opening for Sequoyah’s Cabin, the historic property northeast of Sallisaw the tribe purchased from the state last year. The grand opening will be held from 10:30 a.m. until 2 p.m. Thursday. The historic site has undergone a complete renovation, a spokesman said, including a renovated gift shop with new walls around both the gift shop and cabin, which is enclosed for protection. A new collection of historic items and photos has been added and a new children’s area is under construction. The grounds are also undergoing more maintenance. The spokesman said the site has remained open while renovations were underway, and tours are available. According to the website, Sequoyah’s Cabin is listed on the National Register of Historic Places and was designated as a National Literary Landmark in 2006. Sequoyah, also known as George Guess or George Gist, was born in Tennessee around 1778. He was among the “Old Settlers” of Cherokee Nation, who migrated to present-day Oklahoma and western Arkansas around 1818, prior to the Trail of Tears. Though lame in one leg, Sequoyah became known as a skilled blacksmith and silversmith as well as an artist. Sequoyah left his eastern home in 1818 to operate a salt production and blacksmith works near present-day Russellville, Ark. In 1828, Sequoyah joined a delegation sent to Washington by the Arkansas Cherokees to make a treaty to exchange their lands for lands in Indian Territory. Following this trip, Sequoyah traded his land and salt works for land located on Big Skin Bayou Creek in Indian Territory. 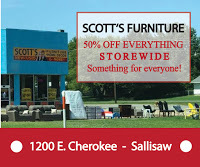 Sequoyah's Cabin is located on Oklahoma 101, seven miles east of U.S. Highway 59 in Sallisaw. The site is open from 10 a.m. until 4 p.m. Tuesday through Saturday. 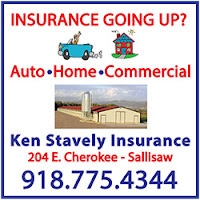 The phone number is (918) 775-2413​. Cherokee Nation took ownership from the Oklahoma Historical Society in November 2016 when the Oklahoma Historical Society was no longer able to operate and maintain the site due to budget cuts. one of the largest sod farms in the region. Near the Oklahoma-Arkansas border is the small town of Spiro, population of 2,167. Twenty two years ago, even Jan Sebo could not have imagined that it would become home to one of the largest sod farms in the region, and she would be a part of that operation. Jan was raised on her family farm in Spiro where her father ran a small operation of Angus cattle. There was not a 4-H program in the area, and FFA was not an option for young women at that time. It wasn’t until marrying her high school sweetheart, Don Sebo, that Jan really had the opportunity to get involved with farming. The two were married in 1972, just a few months after high school graduation. Jan and Don began farming soybean and wheat on Don’s family farm that he ran with his father and older brother. In 1985, Don’s father retired and they bought his family farm. The early years of building their farm were full of long, hard hours. Jan recalled early years of a severe drought where they had to irrigate 24 hours a day, moving the lines every four hours for a few weeks while their three children stayed with family. But even through those difficult times, it was the life they both wanted to live. Their three children grew up in rodeo, and in the early 90s they met a couple at a rodeo that planted a seed for their future business. Five years later when their son Justin returned from college and decided to help with the family farm, the Sebos began a sod farm of 40 acres. After about a year, the sod farm had already begun to take off. Twenty two years later, that 40-acre sod farm has grown to nearly 1,200 acres and has become one of the largest sod farms in the region with a tremendous market in Northwest Arkansas. Some of their largest customers have been sports complexes, golf courses, Walmarts and commercial landscaping. In addition to their sod farm, they still run 1,500 head of Red Angus and Brangus, and raise 6,000 acres of soybeans, 1,500 acres of corn, 2,000 acres of wheat, 500 acres of alfalfa and a few hundred acres of oats. Now that they can hire help on the farm, Jan’s role in the operation has changed over the years from running hay rake or plows to managing the finances of the farm. A job that cannot be praised enough according to Don. Jan and Don have also opened their farm to the Ag in the Classroom tour for the past two years, bringing over numerous teachers onto the farm, feeding them and giving them a tour of their sod and cattle operation. While a lot of hard work and years have gone in to building their successful farm together, the Sebos say they are blessed. It’s time for Fourth of July celebrations – a time with family, friends, fireworks, a backyard barbecue, and maybe a trip to the lake. However, this American holiday is also one of the most dangerous. 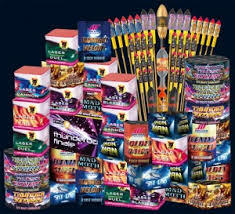 Obey all state and local laws regarding the sale, possession and use of fireworks. 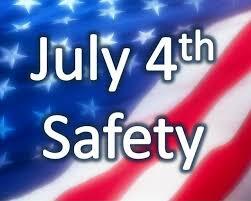 Make sure you, your kids and others watch fireworks from a safe distance. Dispose of spent fireworks by wetting them down and placing in a metal trash can away from any buildings or combustible materials until the next day. Clean: Wash hands for 20 seconds with soap and running water before, during, and after handling food. Hold friends and family accountable by asking them if they washed their hands. Wash all surfaces and utensils with hot, soapy water before and after preparing each food item. Separate: Avoid cross-contamination. Use separate cutting boards, plates and utensils for fresh fruits/veggies and for raw meat, poultry, seafood and eggs. Also make sure to keep these items separate when shopping at the grocery store, storing in the refrigerator and during preparation. Cook: Grill and cook all meat products to the correct temperature. Use a food thermometer to correctly measure temperatures. Hamburgers should be brown throughout, with no pink in the center and reaching at least 160 degrees. Whole poultry should reach at least 165 degrees; and leftovers should also reach 165 degrees when reheated. Chill: Leaving food sitting out all day to snack on can cause abdominal discomfort and diarrhea. To prevent illness, refrigerate easily spoiled foods within two hours. If the temperature is 90 degrees or higher, refrigerate within one hour. Illness: Do not cook food for others when you are ill. If you have had vomiting or diarrhea, wait at least 72 hours after symptoms have stopped before preparing food for others. Grill out in the open, away from the house, tree branches or anything flammable. Never add charcoal starter fluid or any other flammable liquids when coals have already been ignited. Always wear a life jacket when in the water or on a motorized water vehicle such as a boat or personal watercraft. Stay alert for local weather conditions. Check for warning signs or flags. Protect the neck – don’t dive headfirst into the water. Walk carefully into open waters. Never let your children swim alone. An adult should always be present and paying attention. Always have a phone handy should an emergency arise. Follow safe boating practices: use an observer if towing a person, stay a safe distance from the shore and use good judgment operating around other watercraft. Chart a safe course. The Fourth of July is sometimes the first and only time people venture out on the water after dark. Visual navigation markers you rely on during the day may not be visible. Designate a sober driver. The side effects of alcohol are impaired judgment, reduced balance and poor coordination, which are magnified by the boating environment. It is illegal to operate a boat or water ski with a blood alcohol concentration (BAC) of 0.08 percent or more. Try to limit sun exposure between the hours of 10 a.m. and 4 p.m. when UV levels are the highest. Always wear a sun protective factor (SPF) of at least 15 with UVA and UVB protection and reapply every two hours, even on cloudy days. Stay hydrated and watch for signs of heat stroke – high body temperature, hot, red, dry or damp skin, headache, nausea, and/or passing out. A heat stroke is a medical emergency; call 911 is someone is showing these warning signs. It’s time to celebrate the U.S. of A. on July 4, and Sequoyah County towns are planning explosive celebrations. 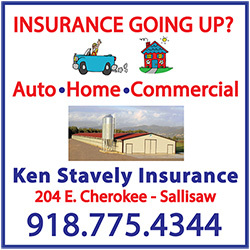 Fireworks shows will be held in Roland, Sallisaw, Vian, at Lake Tenkiller, and hopefully at Webbers Falls. Travis Cox, Webbers Falls fire chief, said the town will definitely have a Fourth of July celebration, but he isn’t sure where it will be held. Town officials said the Webbers Falls Park, where the celebration is usually held, was badly damaged in a recent storm and cannot be used for the celebration. Cox said it is hoped the fireworks show, which is managed by the fire department, can be moved to the sports complex but, as of June 26, the details had not yet been worked out. Information will be published when plans are complete. Roland plans a Fourth of July celebration on July 1 (Saturday). The celebration begins at 5 p.m. and continues with the annual fireworks show at dusk. The Roland Chamber of Commerce reports the festival includes free swimming at the Roland Pool, water slide inflatables, crafts, face painting, live music by War Pony from 7 to 9 p.m., foods and desserts, and door prize drawings. Vian’s celebration will be held Monday, July 3. The fireworks show will be at dusk at the St. John Stadium. The Favorite Sons and Daughters Awards will begin around 8:30 p.m. There is no admission for the show, but donations will be taken at the gate. To enjoy the show to the fullest, it is recommend visitors come into the stadium to hear the music and support the Favorite Sons and Daughters program. At Lake Tenkiller, the Greater Tenkiller Area Association (GTAA) will present the Lake Tenkiller Fireworks Extravaganza at dusk (9:30 p.m.) on Tuesday, July 4. They recommend the best viewing is towards the dam. George Harris, GTAA board member, said this show has the possibility to be the biggest ever. Harris said the fireworks show at Lake Tenkiller is always a sight to behold and is a great way for people and families to enjoy a quality display. Sallisaw’s Fourth of July celebration will begin at 6:30 p.m. July 4 on the grounds at Sallisaw High School. The fireworks will blast off at dusk, and Marley Abell, who heads up the show for the Sallisaw Chamber of Commerce, said this year’s show includes about 2,200 shots. The largest will be the more than 125 shots of 5 and 6 inch shells. Along with these, there will be over 400 shots of 3 and 4 inch shells as well. The celebration includes traditional Fourth of July foods such as free hot dogs, chips and bottled water, as long as the supply lasts, and activities aimed mostly at children will include face painting, the chunk-it game, volleyball, bounce-a-rounds and more. 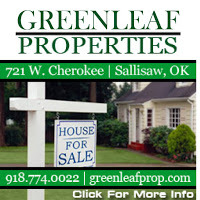 The celebration is free of charge and sponsors include the chamber and Sallisaw churches. 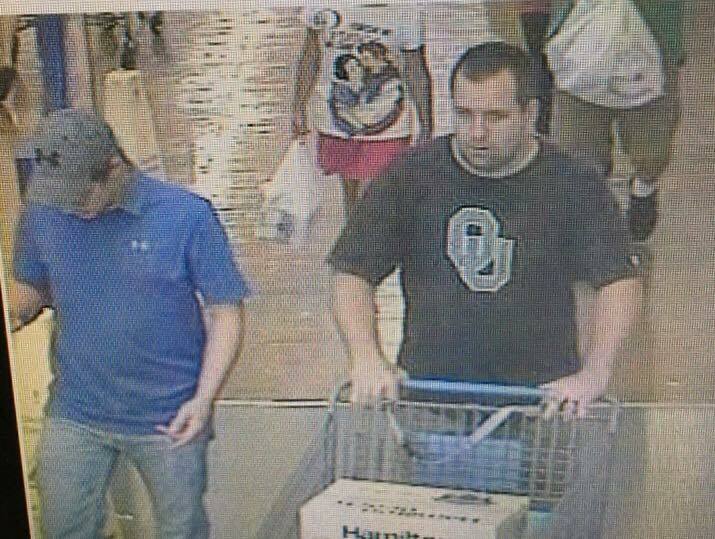 Sallisaw police are looking for two male suspect shoplifters. The two men are believed to have shoplifted merchandise in Van Buren and Sallisaw. Anyone with information is asked to contact the Sallisaw Police Department at 918-775-4141. A home at 221 S. Cedar in Sallisaw has smoke, water and fire damage after a refrigerator caught on fire at about 10 a.m. Thursday, Sallisaw Fire Chief Anthony Armstrong reported. Home owner Mary England was not injured but was concerned about her dog which rushed back into the home after the fire began. Armstrong said firemen found the dog uninjured after they extinguished the fire and set up exhaust fans to remove smoke from the home. Armstrong said about 15 firemen responded to the dispatch at 10:07 a.m. and had the fire out in about 10 minutes. The Red Cross was contacted to assist England until the damage to the home, mostly behind the refrigerator, could be repaired, Armstrong said. Original 1984 Remember the Removal Bike Ride participant and 2017 Remember the Removal Bike Ride Mentor Rider Will Chavez leads the 19 other cyclists to the Cherokee Nation Courthouse Square in Tahlequah. The 2017 Remember the Removal Bike Ride cyclists rolled into Tahlequah Thursday, completing their three-week journey retracing the northern route of the Trail of Tears. The ride started on June 4 in New Echota, Ga., the former capital of the Cherokee Nation prior to removal. 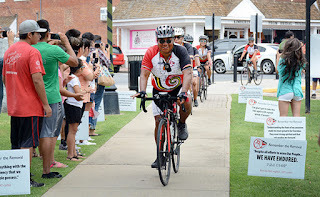 The 14 Cherokee Nation cyclists and six Eastern Band of Cherokee Indian cyclists rode nearly 1,000 miles across seven states. The Cherokee Nation held a return ceremony at the Cherokee Nation courthouse square on Thursday, where tribal leaders, friends and family gathered to greet them. The original Remember the Removal Bike Ride was in 1984, with the leadership program resuming as an annual ride in 2009. 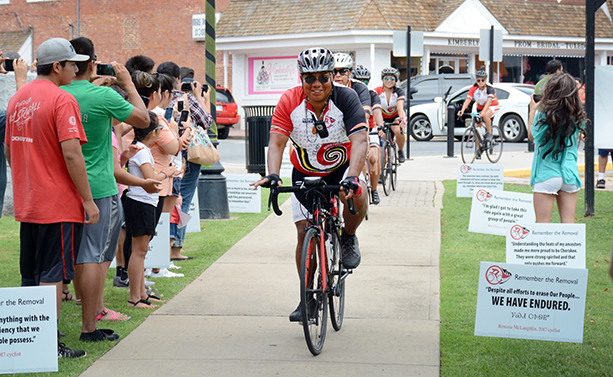 Cyclists learn about Cherokee Nation history, language and culture and get a glimpse of the hardships their ancestors faced while making the journey on foot. This year, 33 years after the original ride, Will Chavez, a member of the 1984 group and assistant editor for the Cherokee Phoenix, joined the 2017 participants to serve as the inaugural mentor rider. Throughout their journey, the Remember the Removal Bike Ride participants visited historical landmarks that were important to Cherokee people, including Blythe Ferry in Tennessee, which was the last part of the Cherokee homeland walked by the ancestors before beginning their journey into Indian Territory, and Mantle Rock in Kentucky, which provided shelter to many ancestors as they waited for safe passage across the frozen Ohio River. Of the estimated 16,000 Cherokees forced to make the Trail of Tears journey to Indian Territory, about 4,000 died due to exposure, starvation and disease.